Have you ever heard of Wolfgang Beltracchi, probably the biggest art forger in history, who fooled the most respected art experts, by painting and selling his own reproductions of works by Max Ernst, Fernand Léger and even Pablo Picasso? Well, if you have, the following account of events might sound familiar. In early December 2017, The Great Masters Art Foundation contacted Teledyne ICM in search of a portable x-ray generator to radiograph a 16th century Italian painting, as some doubt had been cast around the authenticity of the old piece. Just like Beltracchi’s titanium white paint (the cause of his eventual imprisonment), green pigments dating from the 1930’s were found on the supposed 16th century painting. Saint Jerome, a canvas attributed to Parmigianino or his circle, valuated at about $850,000, was on the verge of becoming a fraud. Since the questionable pigments were not in direct contact with the canvas, this particular color could have been added much later, during a restoration, for instance. To settle the case and determine the authenticity of the painting, Sotheby’s, Britain’s world-renowned auction house, hired a top expert, Dr. Maurizio Seracini, to study the painting with all the scientific tools available to finally ascertain the true nature of the masterpiece. X-Ray has been a recurring technique for analyzing painting and artifacts for quite some time. Thanks to its penetrating power, this electromagnetic wave has no problem going through most material that made out ancient artifacts and masterpieces (fabric, wood, rock, metal and bones). Just as an x-ray at the dentist or hospital, this beam of light captures what the human eye cannot. Once the x-ray beam travels through an object, it creates a shadow of what is inside the object onto a receiving medium such as a silver film or a digital detector. 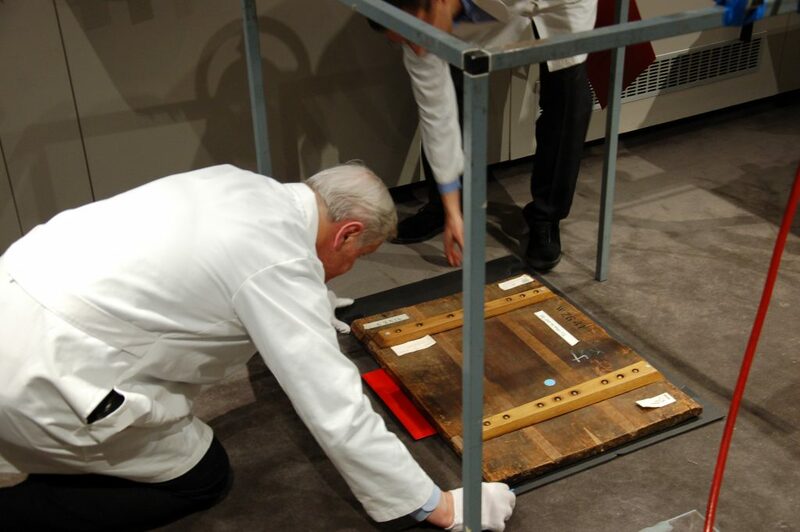 With the help of science and technology, historians and experts can lift the veil on secrets well hidden under visible light, which makes x-ray analysis a must for many professionals. According to Professor Seracini, x-ray analysis should be the number one step when analyzing old masters’ works. Thanks to the power of x-rays, a well-trained eye is able to analyze all the cracks and layers of almost all paintings and truly determine its origin. Equipped with a CP225D constant potential x-ray generator and a Go-Scan digital detector, the team of experts, led by Professor Seracini, was finally ready to study the painting. With the CP225D and 25 µm D-4 films, Professor Seracini, proceeded to shoot every part of the painting as to have an x-ray image of the entire work of art. At 40 kV and 4.5 mA, the radiation level was as low as a dental x-ray. This particular setting is tailor-made for such subtle applications, because it allows the x-rays to penetrate the fabric of the canvas in such a way that every little detail, invisible to the naked eye, becomes crystal-clear under x-rays. In a few minutes, the x-ray exposure section was over and only the developing part of the process remained. Using the Go-Scan digital panel alongside the CP225D x-ray generator, Professor Seracini and his team, were eager to test the efficiency of such a revolutionary imaging technique. 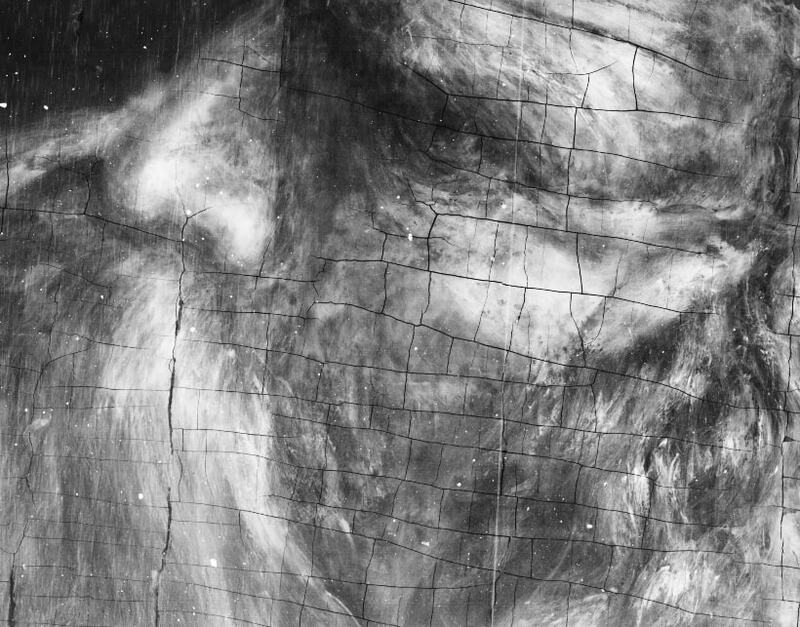 The portable digital x-ray detector was put in place, and within seconds, a sharp and detailed image of the face and beard of the old man portrayed on the canvas appeared on the touchscreen of the connected tablet. Every crack, paint spot, and brush stroke, previously invisible to the naked eye, was now clear as day! Since the expert opinion requested by Sotheby’s was highly sensitive, Professor Seracini and his team were not able to share their conclusions. However, the use of Teledyne ICM’s revolutionary x-ray technology on such a delicate piece of art certainly highlights the expertise and ability of these solutions for non-destructive imaging.